Arsenal, Inc. > Handguards > PR-03A Precision Picatinny Quad Rail Handguard System follows our legacy of quality and craftsmanship and provides superior platform for wide range of attachments, including optics, flash lights, lasers, forward grips, and other accessory options. 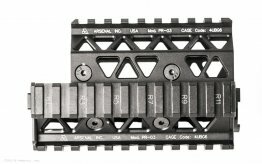 Precision Picatinny Quad Rail Handguard System for 5.45x39 Krink. Precision Picatinny Quad Rail "Krink" Handguard System for 5.45x39 Krink follows our legacy of quality and craftsmanship and provides superior platform for wide range of attachments, including optics, flash lights, lasers, forward grips, and other accessory options. Precision Picatinny Quad Rail Handguard System for 5.45x39 Krink*. 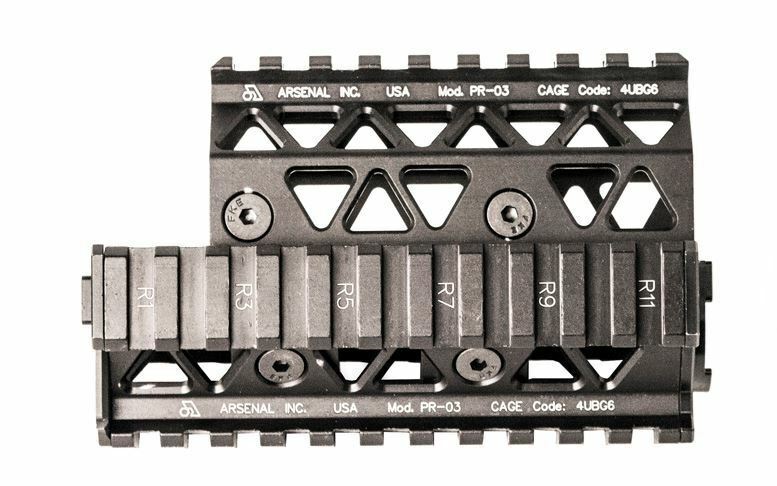 *The PR-03A includes shims that allow it to be installed on a 5.45x39 barrel. 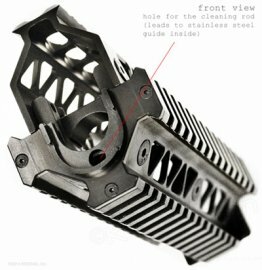 If you do not use these shims, it can be installed on other caliber Krink barrels as well. Or you can purchase the PR-03, which is made for other calibers. Watch the installation video, click here.